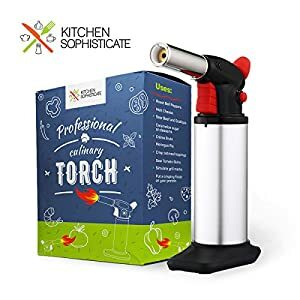 This metal body culinary torch turns the ordinary home chef into a professional. 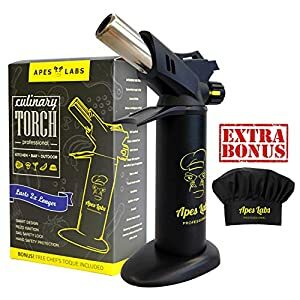 It is ideal for crÃ¨me brulee, caramelizing sugar, meringues, melting cheese, crisping meats, skinning tomatoes, peppers and charring vegetables. 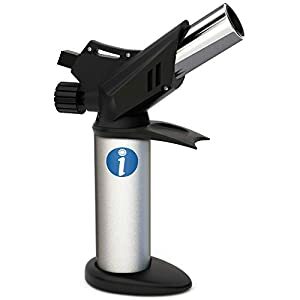 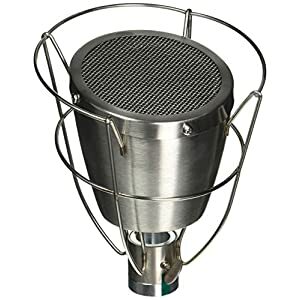 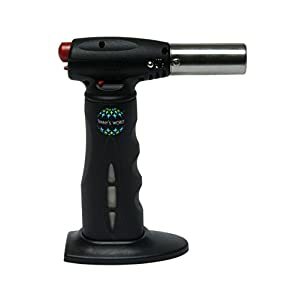 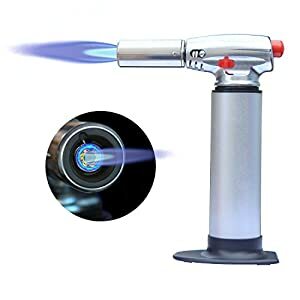 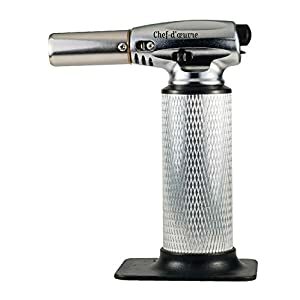 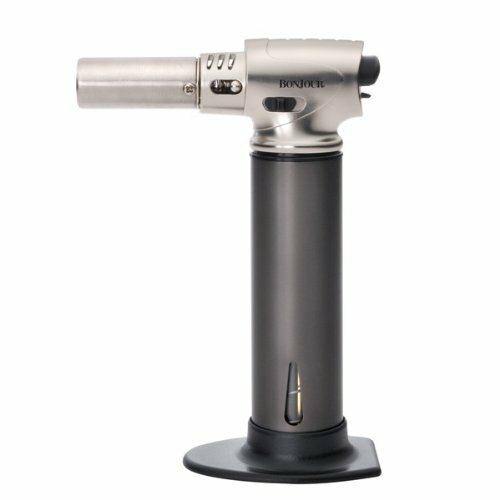 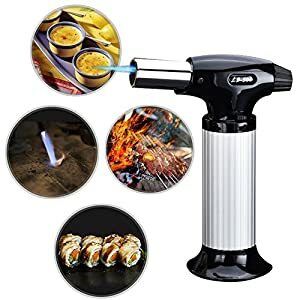 The butane gas powered torch features a fuel level indicator window, an extra-long nozzle with anti-flare flame, adjustable temperature control, safety lock and removable stand. 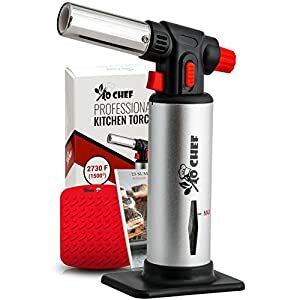 Also included is a full color culinary recipe pamphlet featuring recipes courtesy of “kitchen on fire”. 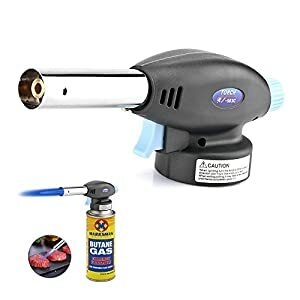 Fuel not included.